Your taste bud is getting dull after eating at the same lunch place everytime? It’s time to explore the new restaurant to eat and experience an affordable European dining in Jakarta. Located in SCBD Jakarta, Bottega Ristorante has ‘La Dolce Vita’ as a motto as they want to give a life of pleasure and simple luxury to its dearest customer. By utilizing local ingredients, Bottega Ristorante is able to provide the customers with an affordable European food. 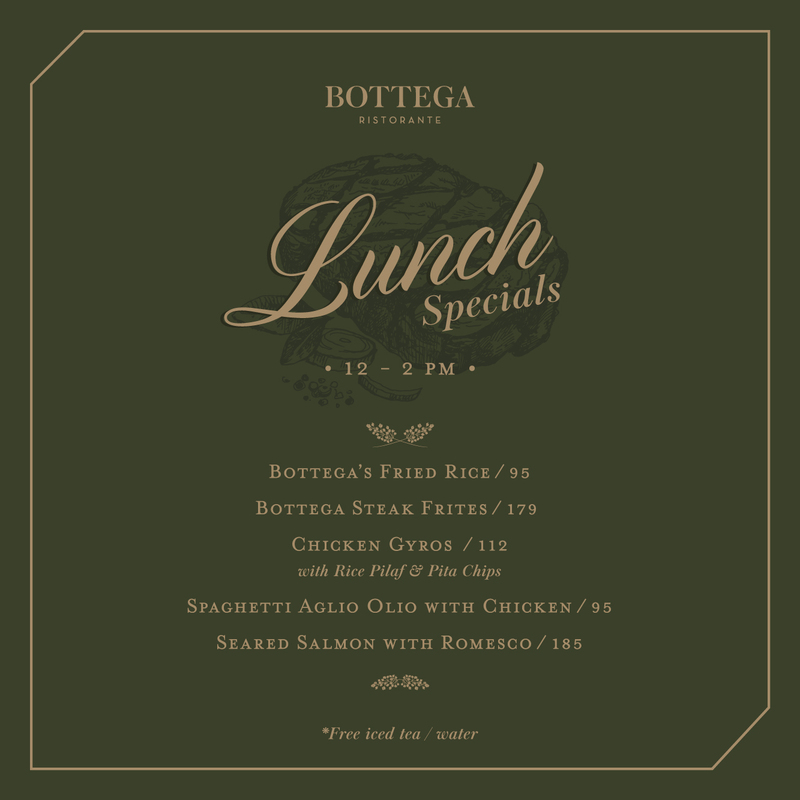 Worry not now, because you can get Bottega Risorante’s favorite menu item such as Bottega’s fried rice, Bottega steak frites, chicken gyros, spaghetti aglio olio with chicken, and seared salmon with romesco with only special prices. 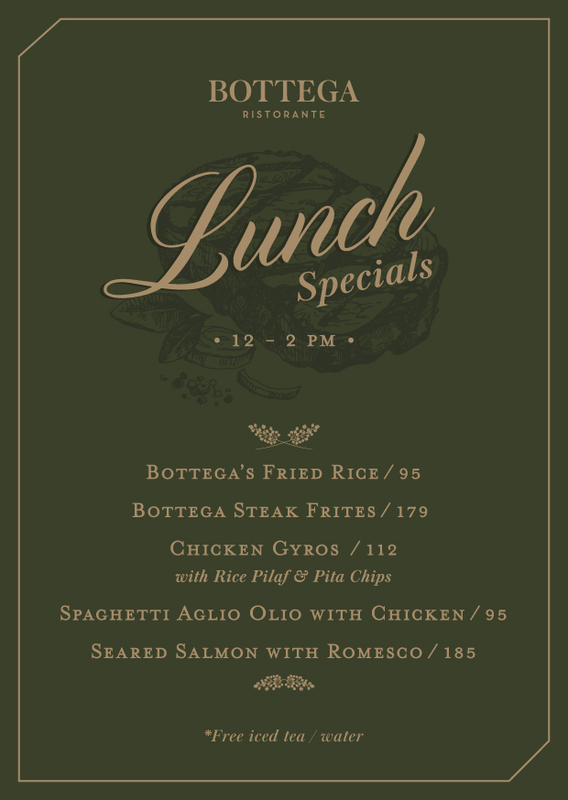 Order the previous menu for your lunch and get free water or iced tea. And it’s valid everyday during lunch time, 12 – 2 PM.